excellent value and dumb luck. I got this drill without any research or real comparison. I had a coupon from Home depot and a busted royobi 12v at home. I was never happy with the royobi, it had no power and the battery seemed to die at the worst time every time. I am an aircraft mechanic and am used to air tools and my 12v ni-mh makita, which was great until the batteries gave out after 3+ years of hard use. (mostly drilling in aluminum and removing/ installing hundreds of screws at inspections. The depot just changed which drill they stocked and I got the display model , but they didn't have the batteries or charger it came with, so I got xrp batteries and a charger. (for $125) I can't believe the power this thing has, it seems as smooth as my old makita and the batteries last longer! I am also impressed with the storage ability of these batteries, if I left the battery in my royobi overnight it was almost dead the next day. I can leave the drill lying and pick it up a week later and not tell the difference in power. The torque is amazing, I already broke the tip right off a high quality Bosch screwdriver bit like I use at work and I usualy only can do that with air screwdrivers or my makita. I have noticed a flash around the brushes when I release the trigger suddenly (xrp batteries?) I don't know if this is normal or not. I have tried to find out what the difference is between the xrp batteries and regular 14.4 ones is, supposedly more power, but no numbers to back that up. 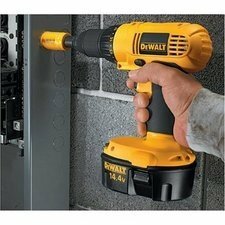 This seems strange to be recomending this drill so highly, as I was the guy making fun of the dewalts at work and never being impressed when I borrowed them. I always thought they were heavy, slow, and clunky, but this one is small, well balanced, smooth, and compact. I wish I could have gotten another one for work at the same price. Instead I am getting an 18v makita Li-ion so I will be able to compare these two on a weekly basis. 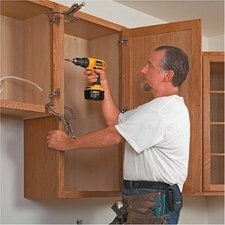 I am remodeling my house and wish I had gotten this drill years ago! way to go Dewalt! I bought this drill to replace my heavily used 10 year old 12V Dewalt that served me very very well. I am dissapointed because this drill slows me down a lot compared to my previous Dewalt. For some reason, this Dewalt has a much greater propensity to grab drill bits off center. I used to juggle bits fast with my old Dewalt while I must slow down and retry often with this new Dewalt. Maybe I just got a lemon. Maybe Dewalt has lost some of their excellence of late. I have been using this cordless drill in high productivity furniture manufacturing and all other types of restoration and renovation work for 8 years now. It is the best one available in my opinion. 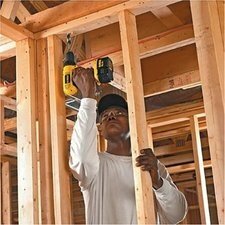 This driver/drill is powerful enoungh to use all day, every day to install storm doors and windows, and lightweight enough not to wear the user out after an hour or two. It's proven to be a very good purchase. I purchased this drill on line through [...]. I got a great deal on the drill and so far no issues (about $[...] with shipping when it was all said and done). Have been using it for a few days now and it already extends the battery life of some of the less expensive cheaper drills I have owned. I like the fact that it comes with a second battery and the charger all in one tool kit. 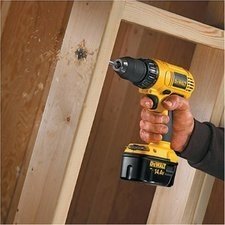 Exceptional versatility and power for a 14.4 volt drill/driver. It has all the power of an 18 volt but its easier to work with and is lighter in weight. 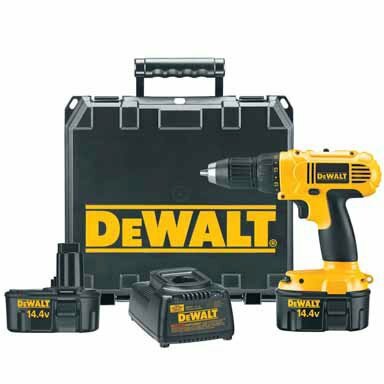 I love DeWalt products, would highly recommend for the price. One little annoyance is the case is a pain to open up when laying flat, other than that, great drill for the money...I hope it lasts me a long time! 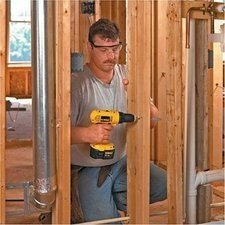 This drill is designed to be used for hard work. As powerful as anyone would ever need. Charger will accomodate some other brands and voltages. Downside, drill is very heavy and can be tiring to hold up for more than short periods of time.